This homemade costume for adults entered our 2018 Halloween Costume Contest. 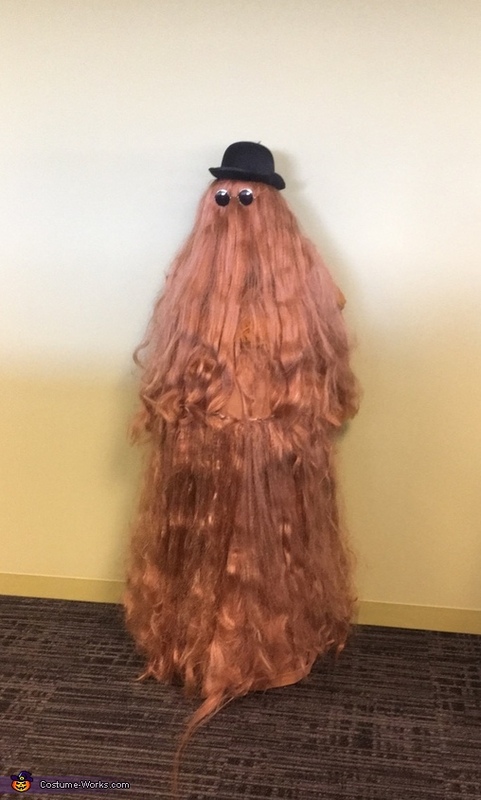 I used 6 Lady Godiva wigs to make Cousin It. Four are pulled apart and sewn to a skirt I made, one is worn regular and the last one is worn backwards to cover face. Hat and glasses finish the costume. The Addams Family! Snap! Snap!